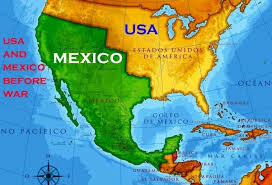 La Bloga: What Borders Look Like on the Ground . . . It began with an e-mail. 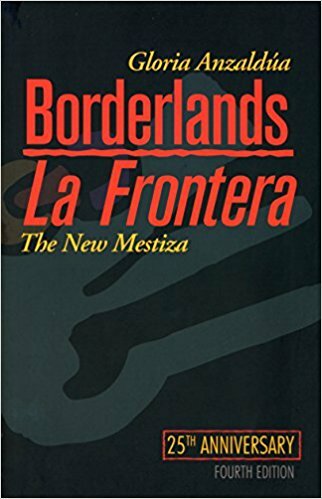 A student from the University of Novi Sad, Serbia e-mailed me, informing me that her class was reading Gloria Anzaldúa's Borderlands/La Frontera as well as one of my critical articles about Anzaldúa and her writings. She had more questions and decided to e-mail me to see if I would reply. After my initial surprise (my amazement about how far publications reach various areas of the world) I also became quite curious about this small college town, north of Belgrade, in Serbia. What prompted their interest? What relevance did Anzaldúa's writings bring to their own discussions, to their research? The end of Yugoslavia created psychological and physical borders-- borders around communities and peoples who once were borderless. In the 1990s, and at the beginning of this decade, borders have been drawn, erased, re-drawn, disputed, and some areas currently remain in tender/tense conditions. Four years later, the student who sent me the e-mail is now a doctoral candidate in our English Department. She is writing a comparative literature dissertation which investigates the cross-cultural, aesthetic, historical, transnational aspects of Chicanx/Latinx literatures with authors from "the Former Yugoslavia" who have published memoirs and fiction. Her decision to e-mail me, and then later to become a graduate student in our program, has viscerally and forever changed me. I have just completed a Fulbright year teaching and living in the same college town where she initially sent me the e-mail: The University of Novi Sad, Serbia. While in Serbia (and Bosnia, Croatia, Montenegro), I learned from the people of the former Yugoslavia who have experienced the violent forcing of unnatural borders: the borders of discrimination, suppression, segregation, "ethnic cleansing." In the span of a decade, new leaders in power (1980s) were able to turn families, neighbors, communities, regions against each other by reviving old historical grudges, by gas lighting, by spreading the lie that one group is superior to another. Anzaldúa deftly illustrates what such borders looked like "on the ground" in South Texas when she was growing up. And below, Jasmina Dervisevic-Cesic, in her memoir, The River Runs Salt, Run Sweet, also takes us on a journey-- but in Bosnia-- to experience life before the wars, during, and after. There are many other memoirs, novels, and books of poetry recently published in the last decade by writers who experienced the Yugoslavian wars. However, I'm taking the time today to point to Dervisevic-Cesic's work because of how it crosses similar artistic structures that Anzaldúa achieves. Although Dervisevic-Cesic's book is not theoretical, it gives the reader a visceral "on the ground" view of life in the former Yugoslavia and how it was so quickly disrupted and destroyed. Dervisevic-Cesic is also the first, the very first refugee who fled the former Yugoslavia and was welcomed to the United States. She has been living in the U.S. since 1993. Later this month I will be meeting and interviewing her (stay tuned), asking her (of course!) her thoughts about immigration and refugees now seeking asylum and safety in the U.S. In the meantime, I gently encourage you to read her book in light of the current historical moment that we are all experiencing. I had a most amazing year in Serbia which also led me to many other regions in the former Yugoslavia (Bosnia, Montenegro, Croatia), and hope that such transnational connections will benefit all of us. ¡Abrazos¡ ¡Contigo! Amelia, grand to have your byline back in the fold. Gracias, Em. I have had to process all that I've seen, all the places I've been.